Montreal – April 23, 2018 – The Quebec Community Groups Network is pleased that the new Secretariat for Relations with English-speaking Quebecers is investing $950,000 in projects to support the vitality of Quebec’s English-speaking communities. Kathleen Weil, the Minister responsible for Access to Information and the Reform of Democratic Institutions and Minister responsible for Relations with English-Speaking Quebecers, announced the funding on Monday. The money will flow through Concordia and the Quebec English-speaking Communities Research Network (QUESCREN), a collaborative network of researchers, stakeholders, educational and other institutions housed at Concordia’s School of Community and Public Affairs. Some $350,000 will remain at QUESCREN to support research related to English-speaking communities and support outreach activities. These include the biennial forum of QUESCREN’s Inter-Level Educational Table titled “Minority Community Vitality through Education”, scheduled for the fall. A feasibility study that explores the possibility of establishing a Centre for Excellence in Social Economy will also be conducted in collaboration with Concordia’s partners. The remaining $600,000 will be distributed to community partners including the Quebec Community Groups Network (QCGN), which will receive $230,000 to develop and maintain expertise in public policy analysis and research in areas of provincial jurisdiction. Montreal – April 9, 2018 – In 1986 the right of English-speaking Quebecers to receive Health and Social Services was recognized in law by the government of Quebec. This right has been consistently respected by all governments of Quebec since that time. In 2015, Bill 10 was enacted. It radically restructured the health and social services system. This necessitated revisiting mechanisms for ensuring access to health and social services in this new institutional environment. That included the regulation governing the Provincial Advisory Committee on the dispensing of health and social services in the English language. Over the past three years, the Quebec Community Groups Network, in partnership with the Community Health and Social Services Network (CHSSN), worked with Health Minister Gaétan Barrette and the government of Quebec to revise and update the regulation governing the advisory committee which is mandated it to advise the Minister of Health on the accessibility and quality of health and social services for English-speaking Quebecers. “The QCGN today welcomes and expresses our support for the amended regulation adopted by Cabinet,” said Eric Maldoff, who heads the QCGN’s Health and Social Services Committee. The revamped regulation ensures that new members of the provincial access committee will be more representative of Quebec’s English-speaking community, said Maldoff. It also confers responsibility on the QCGN and the CHSSN for recruiting and proposing committee members to the Minister of Health. Ottawa – March 28, 2018 – The Quebec Community Groups Network is looking forward to greater support from the federal government following the release of the Action Plan for Official Languages 2018-2023: Investing in our Future. The plan, which includes $500 million in new spending for Official Language Minority Communities, was unveiled in Ottawa Wednesday by Prime Minister Justin Trudeau and Canadian Heritage Minister Mélanie Joly. These measures bring the total investment to $2.7 billion – the largest-ever commitment to official languages. Montreal – March 27, 2018 – The Quebec Community Groups Network is pleased that the government is investing many millions toward supporting the vitality of Quebec’s English-speaking minority community. Organizations representing Quebec’s English-speaking minority told Leitão that more money should go to the newly created Secretariat for Relations with English-speaking Quebecers, so it can be more muscular and effective in ensuring that services to which we are entitled are delivered and that our rights are respected.  Montreal – February 27, 2018 – The Quebec Community Groups Network welcomes today’s federal budget that will add $400 million in new funding over five years to support official language programs critical to the vitality of English-speaking Quebec. “English-speaking Quebecers have reason to be optimistic about the hints dropped in this budget concerning the upcoming federal Action Plan for Official Languages,” said QCGN President James Shea, adding there is good news for our community’s arts, culture, and heritage sectors and our minority language newspapers. 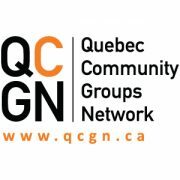 Montreal – January 19, 2018 – The Quebec Community Groups Network is shocked that the Coalition Avenir Québec is resurrecting a much-maligned plan to abolish school boards. We are disappointed that the CAQ would display such little knowledge or understanding of Quebec’s English-speaking community and the vast importance we place on the control and management of our minority language schools. “The Government of Quebec cannot unilaterally decide how our community exercises management and control of our school system,” he added. Our community made its position abundantly clear, he noted, when we fought the current government’s Bill 86: An Act to modify the organization and governance of school boards to give schools a greater say in decision-making and ensure parents’ presence within each school board’s decision-making body. Montreal – November 24, 2017 – This is a moment that could and should inspire positive action for and from English-speaking Quebecers. The Quebec government’s freshly proposed framework for the new Secretariat Responsible for Relations with English-speaking Quebecers is but a first and very modest move in the right direction. “This is a small albeit promising step forward to ensure that the concerns of English-speaking Quebecers are heard throughout the machinery of government, where policies and programs that impact our community are being drafted,” said James Shea, President of the Quebec Community Groups Network. There remains, however, a fundamental issue. “It is clear that the start-up budget of $1 million mentioned by Kathleen Weil, the new Minister Responsible for Relations with English-speaking Quebecers, will not support this project on an adequate scale. It is far too modest to accomplish the government’s stated goals,” said Geoffrey Chambers, QCGN Vice-President and head of the group’s Government Relations Committee. Montreal – November 6, 2017 – Kathleen Weil, the new Minister Responsible for Relations with English-speaking Quebecers, expressed her commitment to making a difference for the province’s minority community and the Quebec Community Groups Network stands ready to work with her. To engage with the English-speaking community, the provincial government must make investments in policy capacity in key sectors and regions, the QCGN told the minister as she sat down this morning with a delegation of 14 community leaders to discuss her new role. “Since 2013, the QCGN has advocated for the establishment of a formal mechanism within the Government of Quebec that our minority community could work with to improve our vitality for the benefit of all Quebecers,” commented QCGN President James Shea, remarking that the QCGN is pleased that Premier Philippe Couillard has named Weil and tasked her with creating a Secretariat. MONTREAL, September 20, 2017 – Remarkable members of the English-speaking community will be honoured in late October for their singular contributions and outstanding community leadership, the Quebec Community Groups Network (QCGN) announced Wednesday. Clifford Lincoln, Sid Stevens and Earl De La Perralle, as well as James Carter have been named winners of QCGN’s ninth annual Sheila and Victor Goldbloom Distinguished Community Service Award. In addition, Claudia Di Iorio has been chosen for the third annual Young Quebecers Leading the Way Award.